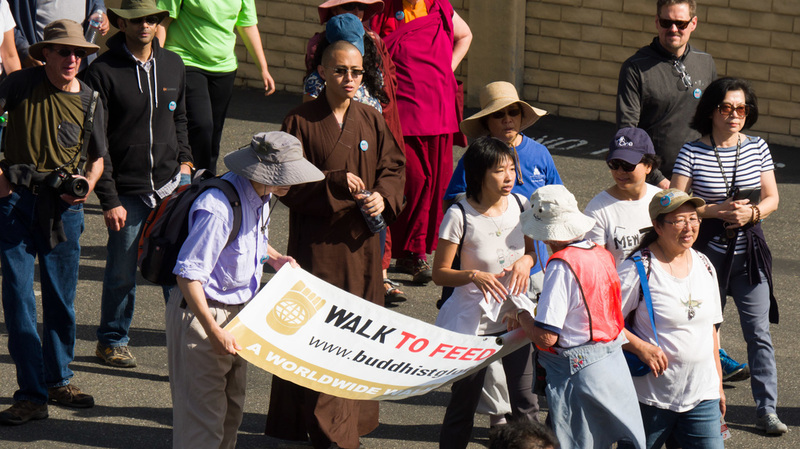 ﻿﻿The 2016 Walk to Feed the Hungry will be a pilgrimage from the Buddhi Vihara temple in Santa Clara to Ocean of Compassion Buddhist Center. The walk aims to raise awareness about chronic hunger and malnutrition around the world; and raising funds to support sustainable projects to end them. Mindful walking, generosity, listening to inspiring talks, and making spiritual friends are great ways to heal, brighten, and develop the mind as taught by the Buddha. The walk starts at the Buddhi Vihara temple at 8:15am (with registration beginning at 7:30am), and will be ending about 12pm.